Ask any well-seasoned traveler or backpacker and they’ll tell you — their backpack is essential to the trip’s success. The shape, size, weight and other features of a travel backpack play a huge role in the ease of your travel and how much you enjoy the trip. 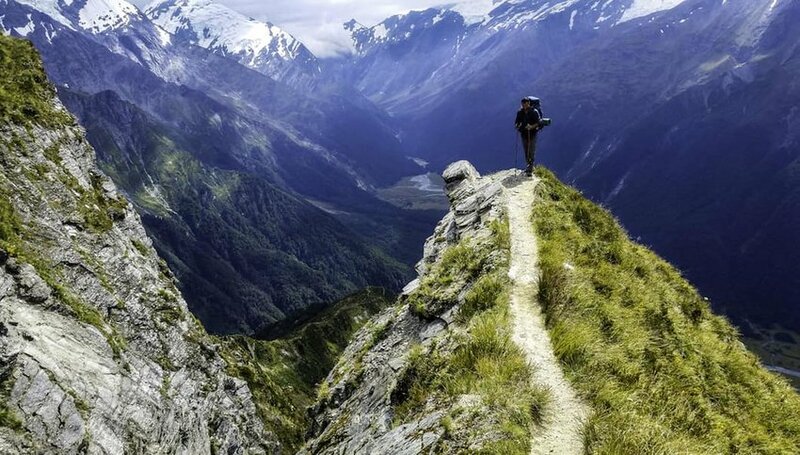 And the longer or more adventurous your trip, the better your backpack needs to be. Before we get into our favorite backpack, here's a few tips to keep in mind. A good travel backpack will ideally be made of water-resistant material, have enough pockets and compartments to hold everything you need to carry and have strong but comfortable straps so you can easily keep it with you. Choose a backpack that’s sturdy, but not too heavy — carrying everything you own on your back can get old very fast. There are many different types of travel backpacks. Some people prefer a huge, sturdy backpack that holds everything they’re traveling with. Others use a laptop backpack — this is a good choice for people who plan to work on the road. Still other travelers simply want a small day pack. Before choosing a backpack, you’ll want to take your needs and activities into consideration. 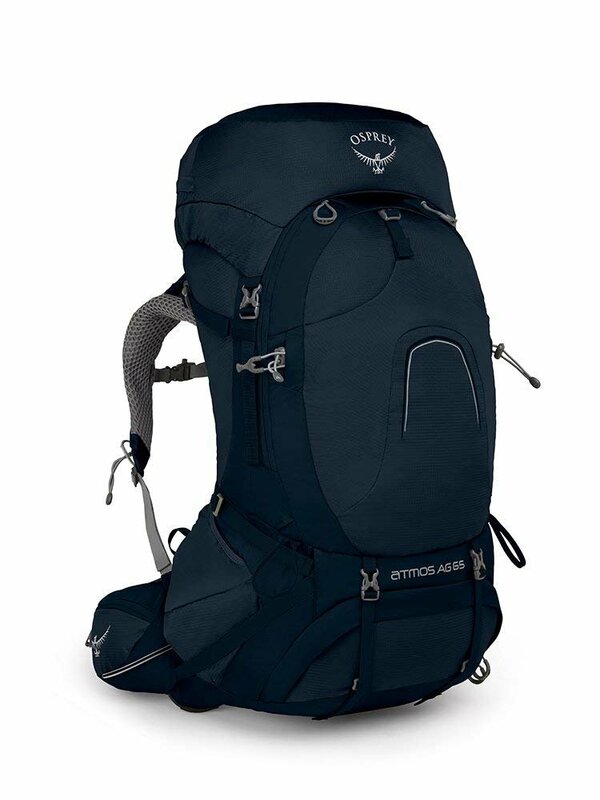 Overall, the Osprey Atmos AG 65 is one of the best backpacks on the market for whatever trip you have planned. Osprey makes backpacks and bags inspired by the desire to explore life. The Atmos 65 is lightweight, comfortable and functional. The backpack has a long list of useful features. You can use it as a hiking pack in addition to traveling; the Stow-on-the-Go attachment provides places for you to store ice axes and poles in case you’re climbing and need to go hands-free; and the backpack’s padded hip belt adds even more comfort. The Atmos AG 65 comes in blue, red or gray. You’ll find plenty of large compartments and smaller pockets where you can stow anything you need to carry. The backpack is a top loader, and its anti-gravity suspension tricks you into feeling as if you’re carrying less weight than you actually are. Plus, the backpack has excellent breathability; it’s outfitted with a netted AirSpeed panel that helps keep air circulating so you won’t be quite so hot and sweaty. Reviewers appreciate the versatility of this backpack: it works well for nearly any travel adventure. Extended hikes, backpacking in Europe or a weekend fly fishing excursion — you name it, the Atmos AG 65 will probably work for it. Osprey also provides a helpful size chart so you can be certain you’re getting the backpack that’s right for you; no returns necessary. The Atmos 65 isn’t perfect. One common complaint centers around the zippers. Users have reported the zippers being very difficult to open and close with one hand, making it hard to access the pockets (especially the backpack’s hip pockets) without taking the backpack off. Since the whole idea of a backpack is that it’s efficient and hands-free, this is a huge drawback for many travelers. Overall, however, the Osprey Atmos AG 65 is the best backpack you’ll find on the market for all of your traveling needs.